Size: approx. 3-5 mm. Photo: 06/27/11, noon. I watched this small hoverfly for 10 min plus and it is quite a nervous insect. It looks like it wants to land somewhere but then takes off again. I never got a really good shot. 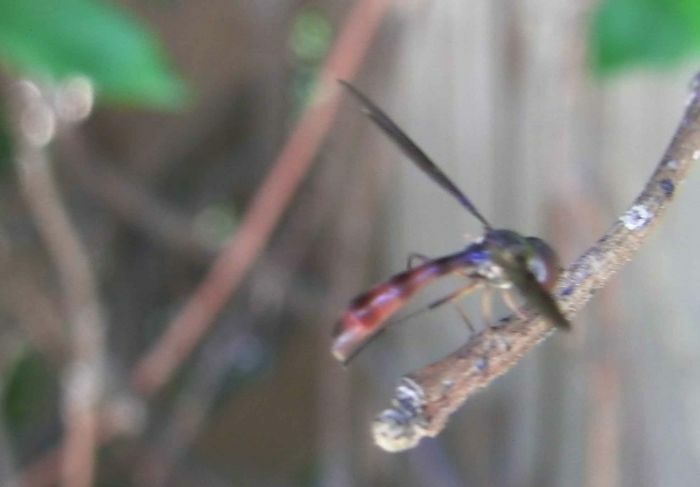 Anyway, this is Ocyptamus fuscipennis. There seems to be no English name for this little fly. The photo below shows a top view of what I believe to be the same individual.